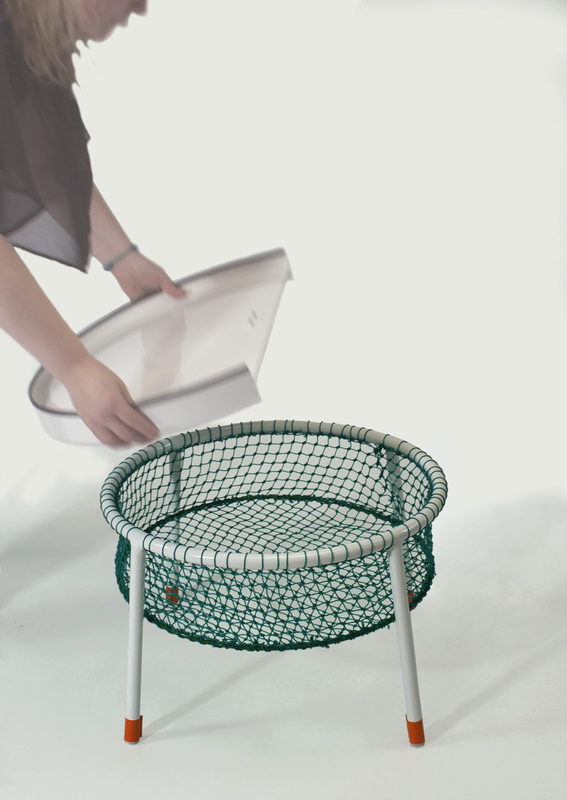 To tackle migration and unemployment in villages, Marta has invented ways to use the skills present in the fishing town of Ísafjörður for a new range of furniture. Researching the area, Marta became intrigued by the boats and fishing gear. Taking them out of their marine context and abstracting them, she slowly transformed them into furniture. The production and distribution involves the locals; starting at a metal workshop, stopping by the net-knitting factory, then to a local artist for assembly. They end up at the harbour where a transport company ships them to Reykjavík, and then on to anywhere else in the world.